For many years, any discussion of what people want has been shaped by Abraham Maslow’s hierarchy of needs. 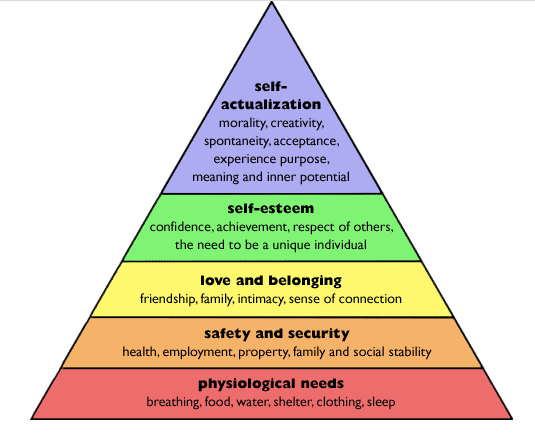 His pyramid is perhaps one of the few tenets of psychology that could be referenced by any educated man or woman on the street (click for larger image on all charts). In reality, the 1943 paper that launched the pyramid, “A Theory of Human Motivation” now looks dated. The pyramid doesn’t recognise homo sapiens as being–if nothing else–social animals. Accordingly, the motivation for what we do is not so much to reach our own personal fulfilment but more to secure the appreciation of those around us–and thus reach our own personal fulfilment at one remove. But here’s the problem with Maslow’s hierarchy. 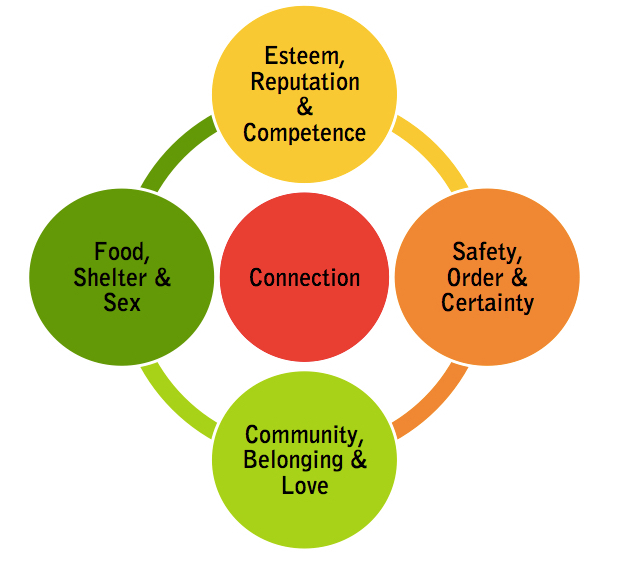 None of these needs — starting with basic survival on up — are possible without social connection and collaboration. According to Rutledge, Maslows’ needs exist but there is no hierarchy. Rather, we strive for a variety of goals within a social setting.